If elected mayor of the City of Rochester, Rachel Barnhart says that she will cut property taxes by 50 percent, provide childcare funding for an additional 1,000 families, and make fiber Internet free for every home. 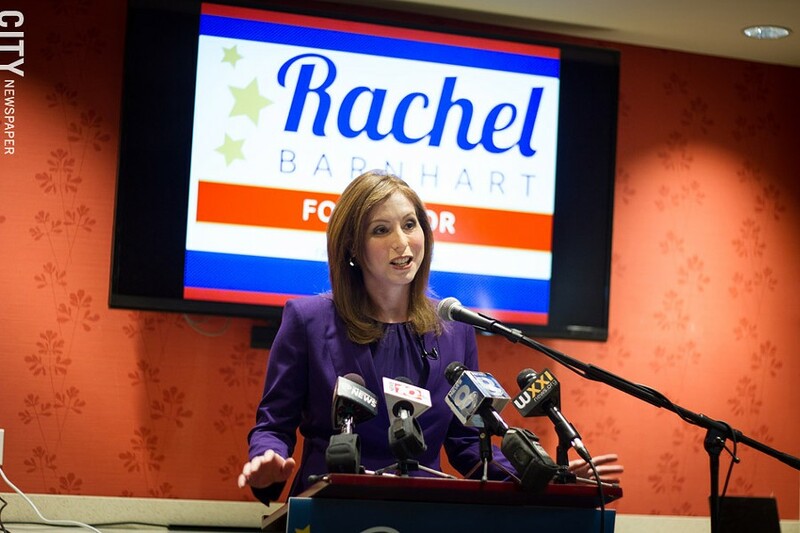 Barnhart, a former reporter and anchor for WROC-TV8, announced her candidacy on Monday. She’ll square off in a Democratic primary against James Sheppard, Rochester’s former police chief, and presumably, current mayor Lovely Warren. "Last year, Miss Barnhart ran for the State Assembly. This year she has announced her candidacy for mayor. We are curious to learn what office she will run for next year," said Gary Rogers, spokesperson for the Friends of Lovely Warren Committee. Barnhart said she’d pay for her plans through careful long-term planning. She mentioned the possibility of consolidating the city and county’s water systems as a way to gain revenue. She’d also lobby hard for more state aid and look for budget efficiencies, she said. Also, the promised tax cut would lure people and business to the city, and their investment would help offset the revenue loss, she said. But almost every politician mentions “budget efficiencies”; it’s vague and more of a hope than a plan. And many local lawmakers have tried to get more money from the state — but state officials haven’t been moved by their pleas. It’s hard to see why it would be different for Barnhart. Barnhart’s candidacy is sure to be a mystery to some people. She has no political experience save an unsuccessful run for State Assembly against Democratic incumbent Harry Bronson last fall. “There are many undecided voters who are not happy with the status quo, and we have a campaign plan that will carry us to victory,” Rittler said. People are sure to ask, too, why Barnhart didn’t get her feet wet first by running for one of the five at-large seats up for election on City Council this year. Barnhart’s high profile would have been a significant advantage. But Rittler said that Barnhart has studied city government extensively and that has given her the knowledge, skills, leadership ability, vision, and experience to be mayor. Barnhart may see an opening, too, given the obvious acrimony between Sheppard and Warren. 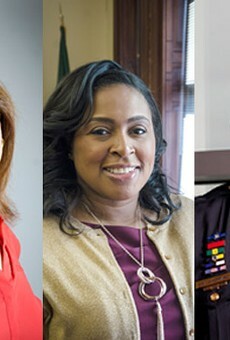 Sheppard retired as police chief shortly after Warren took office in 2013, amid buzz that she was going to replace him. The two have clashed politically since.